Little Love Jar serves to help people see the positive in life- their jars are always more than half full. The mission of this budding company is twofold: “Collect Love. Spread Joy.” This local couple is determined to make the world better. Through their simple online shop, the couple has ​created a fun and simple way to give the gift of love to someone special. Ordering a jar is easy through their website. There, invite friends and family to submit personalized messages. Messages are then hand-cut, placed in a​ jar that is wrapped up in style, and sent straight to your loved one’s door. Little Love Jars are a humbling and inspiring way to let someone know the difference they have made in your life. More than a growing company, Little Love Jar is a movement, and they need your help! They have created a kickstarter for Little Love Jar and hope to raise $50,000 by Wednesday, May 10, 2017. By combining technology and tender loving care, Little Love Jar is the place to effortlessly spread joy to a loved one with a gift filled with positivity. See how simple, yet powerful a love note can be. Visit http://www.littlelovejar.com. Watch Little Love Jar on FYI Philly right here! Your favorite summer tradition is back… a can’t-miss Maryland dining adventure! Phillips Seafood famous Crab Deck is now open for the 2017 season. Perched on a dock in the Baltimore Harbor, the Crab Deck delivers a menu of local Eastern Shore favorites. This is the perfect place to enjoy the best seafood Maryland has to offer. Share a Steam Bucket with friends and family, overflowing with a feast of freshly steamed seafood. And, of course, your trip wouldn’t be complete without classic Ocean City crab cakes, pan sauteed until golden brown. Find the full Crab Deck menu here. 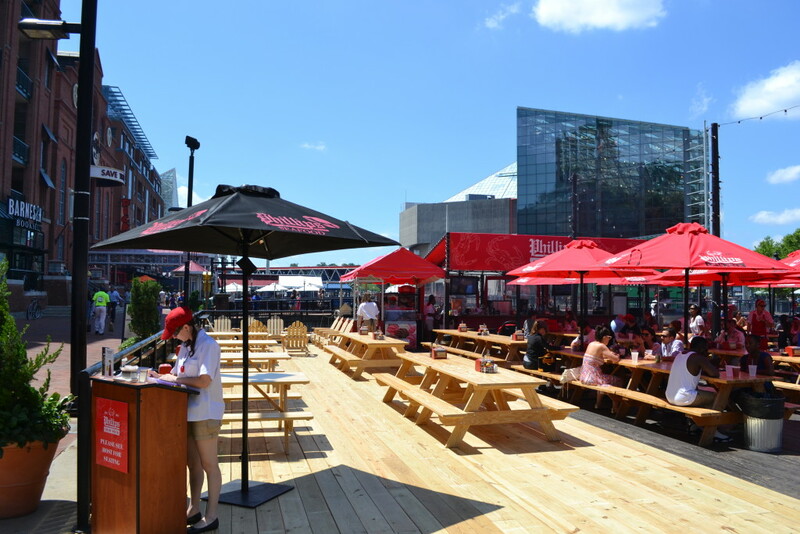 The Crab Deck has a full outdoor bar featuring Phillips’ signature cocktails, like their award-winning Phillips Bloody Mary or the Blue Crab Margarita. Don’t miss out on happy hour specials Monday – Friday from 4 – 7 p.m. The Baltimore Crab Deck is located at 601 E. Pratt Street, Baltimore, MD and is open seven days a week 11 a.m. – 9 p.m., weather permitting. For more information, call 410.685.6600 or visit www.phillipsseafood.com.